India has seen a surge of fitness bands and other fitness related products in the last year only. One such product is the Garmin Vivofit 4 fitness band which is finally on the market and has started selling for Rs 4,999. The band was launched in December last year and has finally made its way into India through Amazon. The highlighting factors of the band include a battery which can last for more than a year and an always-on display which can convey fitness related information. 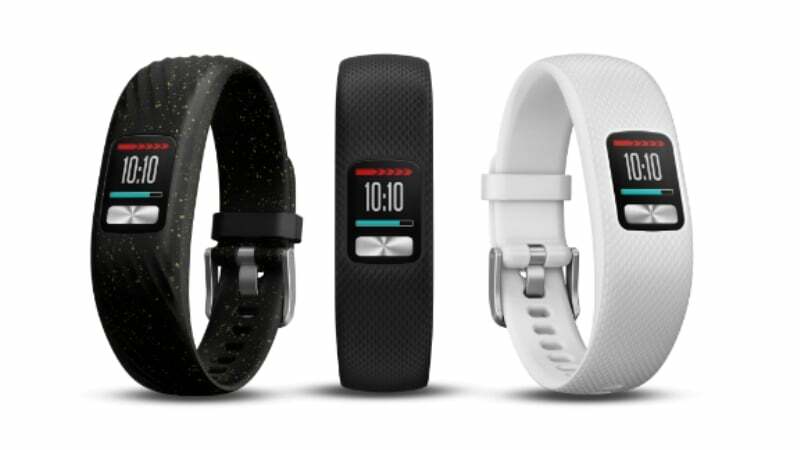 Vivofit comes in the three standard colour choices so almost everyone is going to like these colours – Black, White and Black Speckle, and also its ships in two sizes – regular and large. Ali Rizvi, the National Sales Manager of Garmin India, said the following while being optimistic for the launch of their latest fitness band “We are sure that Vivofit 4 would revolutionise the fitness industry in India. Although there are several activity trackers in the market, what makes this particular product unique is that under typical use its battery can last up to a year, so you can forget about that charging cord. Vivofit 4 is more than any ordinary activity tracker; it is your personal coach and fitness buddy”. The Garmin Vivofit 4 is powered by a coin cell battery and has a transflective, eight-colour memory-in-pixel (MIP) display which is also visible under sunlight. Also, it comes equipped with all the necessary essential features like timer, stopwatch, date counter etc. The activity tracker is supported by an accelerometer to keep track of activities like running, biking, walking etc. All this is also accompanied by a widget to view the weather. A unique functionality which we get to see is the ability to find our lost phone just with a tap of a button. Garmin’s Move IQ technology enables the device to keep track of user’s activities and is able to report the steps taken, distance covered, calories burnt and also monitors sleep. Garmin’s technology also gives the device the ability to record and classify every action based on the data. Also, like many other smart devices, users can resort to the Garmin Connect App which lets the users tweak their fitness band settings like watch faces, colours and personalized text like emergency contacts etc.